Teacher, cat lover, traveler, writer, thinker, friend, lover, activist. 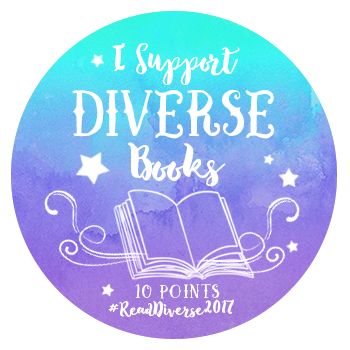 It’s my wish to use this next year to read at least one book a week written by a diverse author, and here’s why. I was raised in a white, conservative Christian, middle-class home, and attended a private Christian school that heavily emphasized the liberal arts. I took private clarinet and then oboe lessons, excelled academically, was encouraged in nearly everything I set my mind to, and never had to worry about where my next meal would come from or whether or not police officers were nice people. And the books I read featured people who looked like I did. In elementary school I remember reading Caddie Woodlawn and Johnny Tremain; in middle school, Around the World in 80 Days and Captains Courageous. And at home I was obsessed with reading, mostly Babysitter’s Club series and Nancy Drew mysteries. High school brought the wonder of Advanced Placement English classes, where I studied Voltaire, Henry James, Homer, Dickens, Austen, Steinbeck, Conrad….too many to list. And while I still appreciate and am passionate about the classics–I want to know more about what ELSE is out there. When our children and students find themselves in literature, it is a beautiful thing. And when our children and students are introduced to those other than themselves in literature, or even better, find themselves in those that once were “separate,” well, that’s revolutionary and builds bridges in our world. So that’s what I want–to build peace through literacy. And understanding precedes peace. This is my endeavor toward understanding, and I can’t wait.